I was first introduced to Ilike Organic Skincare almost three years ago and it's a line that continues to impress me. Ilike flies a little under the radar in the green blogging world, but the company, which has been around since the 1950's, has quite an extensive product range and numerous unique and interesting offerings. The entire line is BDIH Certified Natural and made in Hungary without gluten, nuts, GMO's, or synthetic chemicals. Everything is also cruelty-free and packaged in recycled and BPA-free packaging. Most recently I've been trialing the Lemon Cleansing Milk* ($55 for 8.4 ounces), described as a "gentle soft texture cleansing milk for normal/combination to dehydrated skin types that removes makeup and impurities and hydrates skin." I received the cleanser during the summer months, but it wasn't until the weather turned colder in the fall that I really came to fully appreciate this product. For that reason, I'm glad that my semi-hiatus from blogging left me testing this item out over multiple seasons, since it gave me a chance to get a really great feel for it! The Cleansing Milk is a non-lathering cleanser with a light lotion consistency. Ilike recommends using it in much the same way as you would an oil cleanser or cold cream -- that is, massaging the product onto dry skin and wiping it off with a cotton pad or damp wash cloth. I've used the product this way and also on moistened skin like a more standard cleanser, and I've enjoyed it both ways. The cleanser wipes away easily and doesn't leave behind any noticeable residue on the skin. It also does a good job removing face makeup and light eye makeup too, although I typically prefer to use an oil or separate makeup remover around the eyes before going in with the Lemon Cleansing Milk. In the fall and winter, when my skin tends towards more dry and sensitive, this is a fantastic gentle cleanser that softly glides over the skin removing dirt and impurities without stripping the skin or disturbing moisture levels. It leaves my face feeling hydrated and soft to the touch. I also enjoyed the Cleansing Milk during the summer, however I found it a little too rich for daily use at that time of year, when my skin produces a little more oil. Some Ilike products are quite fragrant, but the Lemon Cleansing Milk has only a light lemon scent. It's mild, fresh, and pleasant. The Lemon Cleansing Milk is a great gentle and non-drying cleanser, especially perfect for dryer skin types and during the cold winter months. It has a light scent, removes makeup, and rinses off easily. 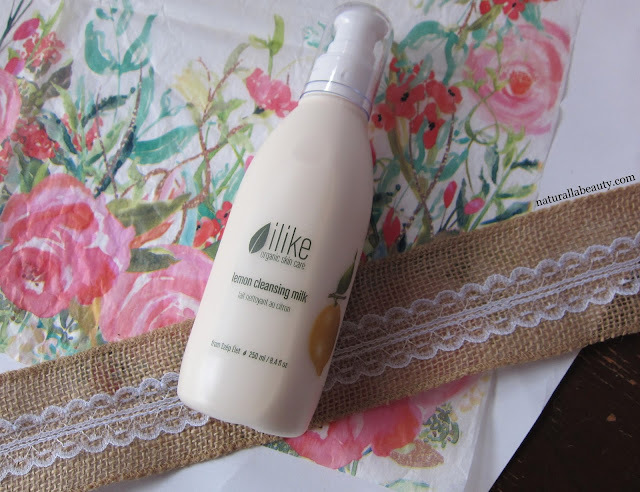 If you're interested in trying the Cleansing Milk -- or anything else from Ilike! -- the brand is running a New Years sale through January 31. Get 20.18% off sitewide with the code Happy2018. I'm what I consider to be moderately scent sensitive. Sensitive because I enjoy most natural scents but struggle with a few, and also because I have occasional days when I wish all my products had zero scent. 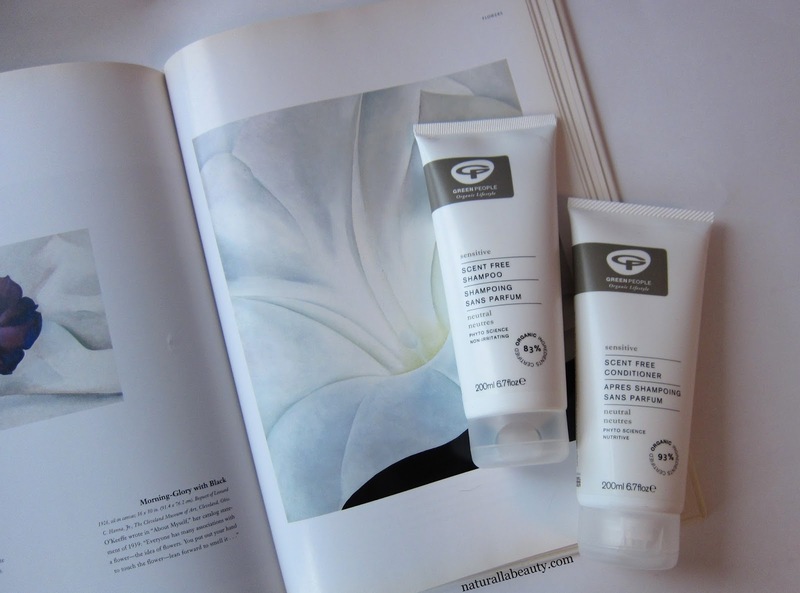 One such day is what led me to ordering the Green People Scent Free Shampoo and Conditioner. The Scent Free Shampoo and Conditioner are particularly marketed towards sensitive scalps, but, since they include no added fragrance or essential oils, they're obviously fantastic for sensitive noses too. The duo is basic and effective. The Scent Free Shampoo is SLS free, lathers nicely, rinses out easily, and leaves both the hair and scalp feeling clean and refreshed. It’s a gentle wash that gets everything clean on the daily, although I do find myself needing to use something a bit more clarifying every few weeks to get rid of extra product build up that the Green People doesn't quite seem able to tackle on its own. The shampoo also includes pineapple extract and salicylic acid to gently exfoliate and remove any flakes on the scalp. I don't deal with flakes or dandruff, so I can't speak to those benefits specifically, but the shampoo gets my scalp nice and clean without feeling harsh or irritating. The Scent Free Conditioner is a great lightweight option. It's extra gentle and moisturizes enough for regular use, but again, for my curly hair moisture needs, I find myself periodically reaching for something a little richer as a more intense moisture treatment. (Green People's own Intensive Repair Conditioner for coloured and damaged hair, which I've used multiple samples of, works great for this purpose!) The conditioner includes hydrolyzed quinoa and vitamin B to strengthen hair, and green tea for added shine. Because it's so light, the conditioner never leaves hair feeling weighed down or heavy. Coming full circle back to scent, although the Scent Free duo has no added scent ingredients, both products have very slight herbal aromas, presumably from the other ingredients. It's nothing major and nothing that's noticeable after the products are washed out. Personally, I prefer a mild scent like these to a completely bland unscented version, since those are, ironically, often only achieved with added scent ingredients to mask the natural ingredient aromas. Neutral is a fitting name for this sensitive duo. Both the Scent Free Shampoo and Conditioner are strong everyday products and I like them both, but I find myself mixing in other items every so often to complement the Green People products. I find the shampoo needs a clarifying boost every couple of weeks to completely remove product build up, and the conditioner does best when I incorporate something a little richer every so often too. The weather’s rebounded nicely the last couple days, but before that we were stuck in a record breaking cold spell for quite some time. Cold weather, for me anyways, immediately translates to dry hand problems, since it seems like the moisture gets sucked out of my hands as soon as I step outside. Needless to say, I’ve learned a few tricks to surviving Canadian winter over the years. First, the biggest thing for me is consistency. I can slather on rich occlusive balms before bed and they do a great temporary job, but I also need products that I can reapply and work with throughout the day. That means: nothing too greasy, oily, or overly fragranced. My current lineup includes four stellar products to suit all my daytime hand needs. If you follow me on Instagram, you’ll likely have already seen some of these mentioned over the last couple months. I recently cracked into my second tube of the Ultra Hydrating Hand Cream, which I discovered in the middle of my blogging lull last winter, and it just might be the very best hand cream I’ve used to date. The cream is made with hydrating aloe vera, humectant honey and glycerin, moisturizing coconut, marula, and rosehip oils, and soothing oat kernel, chamomile, and calendula extracts. It packs a serious moisturizing punch and also creates a non-greasy, dry-to-the-touch protective barrier on the skin. I notice a big difference when I remember to slap this on immediately before venturing out into the cold. The scent, described as a blend of sweet orange, amber, and vanilla, is sweet but mild and not overbearing or sickly. Technically the Moisture Renewal Booster is a face oil, but, as I've discovered over the last couple months, it’s also pretty magical as a cuticle treatment. The unscented Booster is made with a blend of nine plant oils including favourites like jojoba, argan, and cranberry seed, and it also includes added ceramides and cholesterol. These two C’s, the building blocks of a healthy skin barrier, are fantastic for repairing and rebuilding damaged skin, so it only makes sense that they would work equally well to heal dry and dehydrated cuticles. In addition to healthy cuticles, the plant oils also help keep the nails flexible and supple, and therefore less prone to brittleness and breaking in the cold. 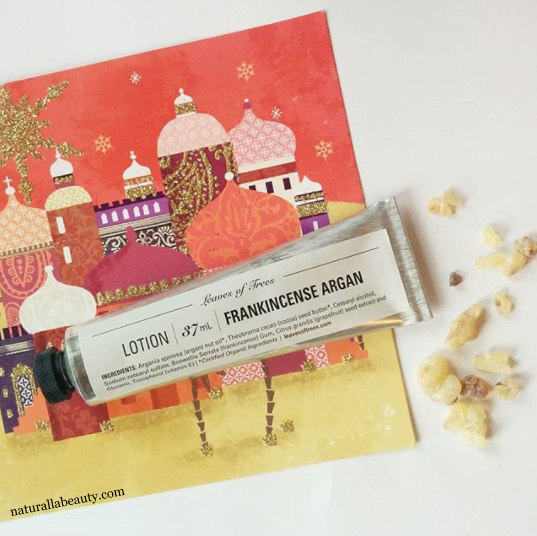 Frankincense-infused argan oil and cocoa butter create a deeply nourishing base for Leaves of Trees’ Frankincense Argan Lotion, made locally here in Toronto with just eight simple ingredients. The lotion, which is waterless, offers the rich benefits of a balm but skips over the greasy, can’t-touch-anything phase. The lotion sinks in quickly, does a great job reviving dry winter hands, and offers some anti-aging benefits from the argan and frankincense oils too. Plus, it smells lovely -- mild, earthy and calming. 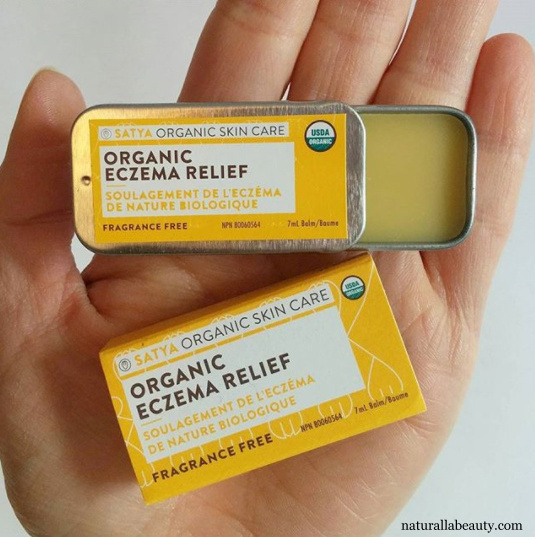 I received this mini Organic Eczema Relief from Social Nature in the fall and it’s basically lived in my purse ever since. It’s a solid salve/balm made from just five organic ingredients: beeswax, sweet almond and jojoba oils, colloidal oatmeal, and calendula, and it works for a lot more than just eczema. I wouldn't consider it a moisturizer as much as a healing salve, so it's best for fixing chapped or irritated skin. Basically, it’s a great heavy hitter if my hands are in especially rough shape or if I’ve not kept up with the other products for a day or two. Clearly I take hand care pretty seriously in the winter and these four have been doing the trick for me through our recent cold spell. 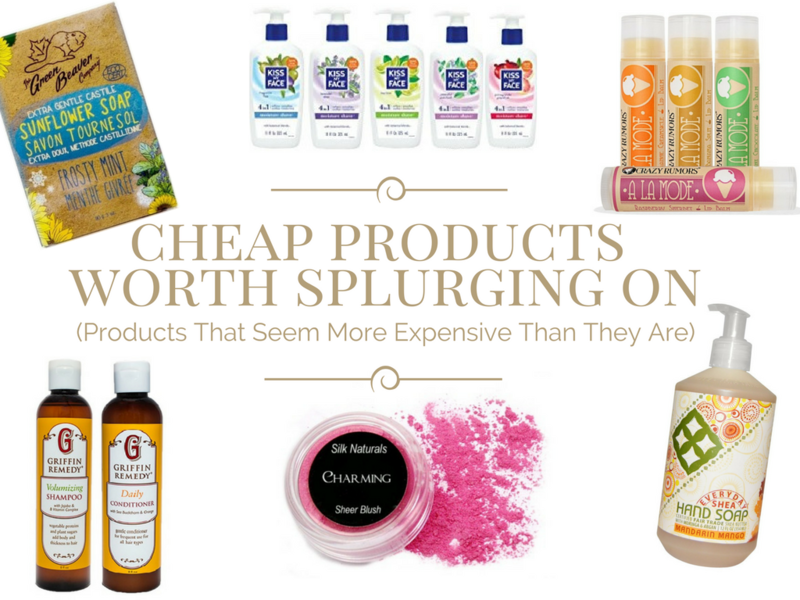 Honourable mentions go to warm gloves, non-drying hand soaps (Ground Soap and Everyday Shea have been my go-to's) and to drinking lots of water and consistently taking omegas (these are my favorite). What do you do to combat dry hands in the winter months? This past December marks five years since I first switched to glycerin free toothpaste, so it seems timely to share my experiences with several different glycerin free options today. There’s a lot of information out there about the negative effects of glycerin in toothpaste and other oral care products, and while I've realized that concrete evidence is questionable – and can mainly be traced back to a single book on the subject ­­– I still choose to avoid glycerin in my oral care products. The theory is that glycerin creates a film or coating on the teeth that prevents them from remineralizing, thereby leaving them weaker and more susceptible to decay. Proven or not, anecdotally I can tell you that I was dealing with a lot of cavities shortly before making the switch to glycerin free products, and when I eliminated glycerin, the majority of those issues stopped almost immediately. To me, Earthpaste will always be the original, OG glycerin-free toothpaste. (I first reviewed it way back in 2013!) I used exclusively Earthpaste for at least three years, so I’ve gone through countless tubes and tried every flavour except the newest charcoal one. Made by Redmond, the same people who make Redmond Clay and Real Salt, Earthpaste is made with just six to eight (depending on the flavour) basic ingredients: purified water, food grade redmond clay, xylitol, Redmond real salt, and essential oils. Earthpaste is brown, looks like clay, and it doesn’t lather at all, but it does do a good job cleaning the teeth and, at least with the minty flavours, leaves my mouth feeling fresh. The consistency is a little thin once you start brushing, so I find you need to use a little more paste than you would with a more standard toothpaste. My two favorite flavours are the Wintergreen and Unsweetened Spearmint, which are the two mintiest. I’m not a big fan of the Lemon as I found it didn’t leave my mouth feeling fresh enough. Another one with minimal ingredients, Miessence’s toothpaste is made with just aloe vera juice, baking soda, sea salt, stevia, non-GMO xanthum gum and essential oils. It’s white and, despite containing no lathering agents, it seems to foam up a tiny bit as you brush. It's ultra minty, so if you’ve ever complained that natural toothpastes aren’t minty enough, this is the one for you – it’s super fresh and the mint taste is strong -- to the point that I catch a big whiff of spearmint every time I open my bathroom cabinet! (If mint isn’t your thing, there are a couple other flavour options too.) I found this toothpaste tasted very salty at first, but after a couple weeks, I got used to the taste and stopped noticing any saltiness. The main downside to Miessence is that you need to order it online and directly from the company. Deodorant in a pot doesn’t make me blink anymore, but toothpaste in a jar did take some getting used to! According to Uncle Harry’s you’re safe to dip your brush right in the jar, but I don’t like the chance of introducing water, so I prefer to scoop out a small amount with a separate utensil instead. Similar to Earthpaste, the Uncle Harry’s toothpaste is clay-based and contains no lathering agents. Instead of regular water, however, the formula uses colloidal silver water, which offers extra antibacterial benefits, and ionic minerals to nourish the teeth. In terms of taste, Uncle Harry’s is quite potent. In addition to the spearmint, the paste also includes peppermint, eucalyptus, clove, wintergreen, and oregano and the hotter essential oils are definitely noticeable. I can only brush with a tiny amount of toothpaste or else it burns my tongue. Similarly, I do my best to keep the paste from touching my lips as it has a tendency to burn there too. The toothpaste performs well in terms of how it leaves the teeth, but because of the extra caution needed to avoid burning/discomfort, I do sometimes find it a bit of a chore to use. I’ve also been using Uncle Harry’s Liquid Remineralization for Tooth Enamel, a rinse made from ionic minerals, sea salt, and essential oils, which I feel offers the benefits and good parts of the toothpaste, minus any downsides. The liquid is supposed to be swished around the mouth for five minutes after brushing and is intended to protect tooth enamel by neutralizing acids and bacteria in the mouth, supplying calcium, magnesium, and phosphorous for strong teeth, and promoting an alkaline pH in the mouth. The process reminds me of oil pulling, though obviously not with an oil, but I find it both more pleasant and satisfying than dealing with an oil. The rinse tastes strong and a little salty, but I don't experience any of the burning I get from the toothpaste. I can’t speak to definite results here, but I’m sold on the ingredients and the rinse leaves my mouth feeling nice and clean. My Magic Mud is a whitening toothpaste made with coconut oil, bentonite clay, diatomaceous earth, and activated charcoal and I like it a lot. I’ve used powdered activated charcoal for tooth whitening before, but I’ve never been diligent enough to notice much in the way of results. Adding the charcoal into toothpaste makes it super easy to use and I do think it’s had a slight whitening effect on my teeth. I’ve only used the Peppermint flavour so far – although I’ve got Spearmint and Wintergreen waiting in the wings – and it’s very nice and minty. The paste is black, as you might expect from the activated charcoal, and, as such, it takes a little more thought and effort than lighter colored toothpastes, so it's one I typically only use at night. If you drip any on your clothes, it will leave a grey mark. It also takes a little extra effort to clear your mouth (and sink!) of any and all black residue. Beyond the messiness, my only complaint is that My Magic Mud has an unfortunate tendency to separate in the tube. With my first tube, I’d periodically get a squirt of clear liquid before the paste, and cracking into my second one just today, I needed to shake it A TON to remix everything together. In terms of texture/consistency, Coral White reminds me the most of conventional toothpaste. It’s beige and pasty and, since it's the only one of the five with a lathering agent (sodium cocoyl glutamate), it definitely foams up the most. Like the Uncle Harry’s, Coral White’s approach is based on the idea of neutralizing acidity in the mouth, feeding calcium and minerals to the teeth, and restoring a more alkaline pH. The formula claims to whiten teeth and includes coral calcium, rich in ionic coral minerals, as well as hydrogen peroxide, goldenseal, ginkgo biloba, echinacea, and ginseng for overall mouth health. I like how the Coral White performs, but I wish it had a stronger mint flavour. The taste is very sweet and, as you've probably figured out by now, I typically prefer something a little fresher. It would probably be great for kids or anyone preferring a milder mint flavour. I'm about halfway through the tube now and I'm also not convinced the Coral White has had any whitening effect on my teeth. It’s great to see glycerin-free toothpaste options becoming more widely available! None of these are bad -- I think all five are decent options for anyone wanting to forgo glycerin -- but my two favorites at the moment are the Miessence and My Magic Mud. They’re the two mintiest and also the ones with the best texture/consistency in my opinion. I’ll always have a soft spot for Earthpaste too, which I largely credit with turning my mouth health around all those years ago, and I'm sure I'll cycle back to it again in the future. What do you think of glycerin in toothpaste?